Red Edge or Lipstick. 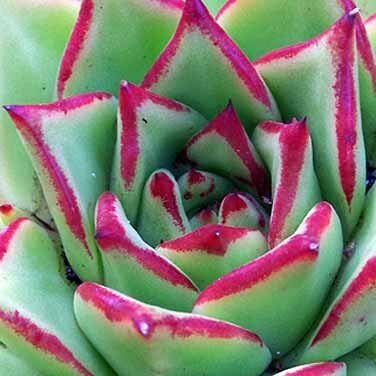 Great form with red edges to leaves if grown in sunny position. Summer flowering with pink-orange flowers, needs gritty well drained compost. Keep frost free and dry in winter. Height and width up to 8ins.